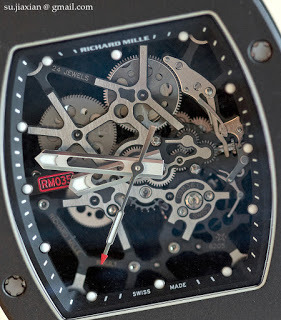 I’ve worn the Richard Mille RM035 Rafael Nadal for a few days now. I poked fun at the watch when it was launched, but after experiencing its ethereal lightness I have to admit it is a mighty cool watch. It is not haute horlogerie, in fact the level of finishing and construction is below par for a watch of this price, but the RM035 is so unorthodox that it is uniquely compelling. Most other watches at this price are either avant-garde horology with funky time display (Urwerk, MB&F et al) or masterpieces of classical watchmaking (Patek, AP etc etc). 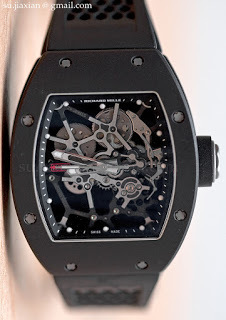 The RM035 is neither; its sole quality is its lack of weight. It feels like a plastic toy, but it is not – that mental dichotomy is bizarrely appealing. A full on-the-wrist review will be published in August in “The Peak Selections: Timepieces”. The magazine will be mailed out to the subscribers of The Peak, and will also available for purchase at major newsstands and bookstores in Singapore.